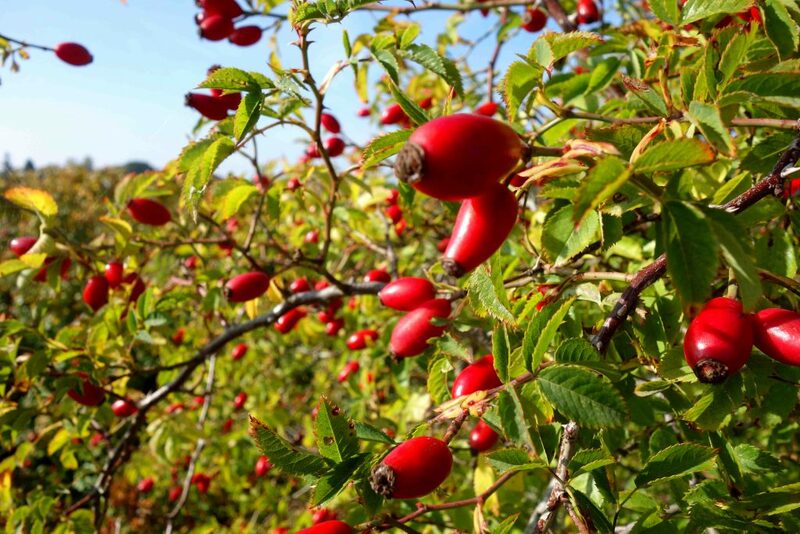 At the Baltic Sea, I used one sunny afternoon to forage some beautiful rosehips. Those had to be turned into jam and as you can double use them, I made some syrup using the pomace. It is totally easy and let’s be honest- one can never have too many syrups at home 😉 I chose the easy and time saving method to work with rosehips and of course, I want to share it with you- ’cause it doesn’t have to be that time-consuming to work with rosehips. First, you wash the rosehips and put them in a pot. Then you cover them completely with water and let them simmer for about an hour. After that you blend the rosehips in their cooking liquid and press them through a sieve to remove the kernels. When all the kernels are removed, add as much water as needed to come back to the initial weight of 750 grams. Now strain it through a finely woven sieve to remove the tiny hair. If that doesn’t work, just add some more water. Now stir in the sugar, apple pectin and a tablespoon of lemon juice and boil it until the jam starts to set. Next you take a funnel and fill some sterile jars with the rosehip jam. Learn here how to sterilize jars. Close them with the lid and let the jam cool down. The jam now lasts up to a year at least, if a vacuum has formed. For the syrup, you just add some water to the pomace and then strain the liquid through both sieves. Now, add some sugar and lemon juice to taste and cook the syrup for a few minutes, before you fill some sterilized bottles with it. 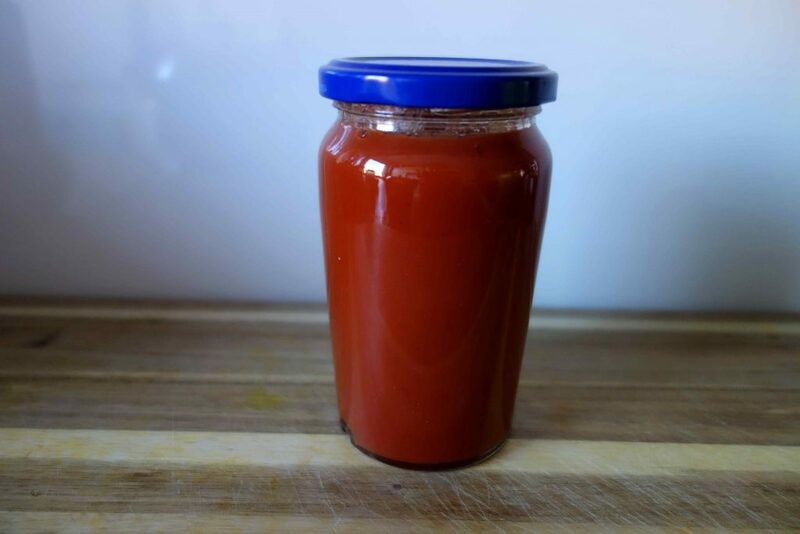 The rosehip syrup should also last for a minimum of one year, if a vacuum has formed.